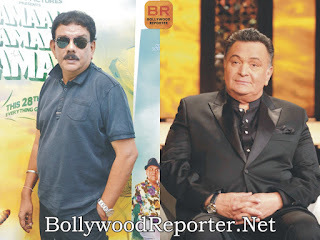 Rishi Kapoor and Priyadarshan to team up for the first time. Rishi Kapoor and Priyadarshan to team up for the first time. Home > rishi kapoor > Rishi Kapoor and Priyadarshan to team up for the first time. Rishi Kapoor and Priyadarshan to team up for the first time. Priyadarshan was one of the first directors in India to introduce rich color grading, clear sound and quality dubbing through his Malayalam films. Upon entering Bollywood, he has mostly adapted stories from popular comedy films from Malayalam cinema, some from his own work and some from others. These include Hera Pheri, Hungama, Hulchul, Garam Masala, Bhagam Bhag, Chup Chup Ke, Dhol, and Bhool Bhulaiyaa. Priyadarsan took a sabbatical after working with Jackky Bhagnani in Rangrezz. Now, he is all set to return in Bollywood with another film. This time he will be directing a emotional film! The filmmaker has already directed more than 70 films, and he has already worked with leading Bollywood actors like Tabu, Paresh Rawal, Akshay Kumar, Akshaye Khanna, and Suniel Shetty. Now, he will work with Rishi Kapoor for the first time. "Can you believe it?" says Rishi incredulously. "During all these years we've never worked together. Priyan is the most prolific director in India along with David Dhawan. I've done innumerable films with David. Not Priyan."